LOS ANGELES, Calif. - A photo of a mother-daughter duo is going viral -- but it's what they were doing in the photo that has people talking. The photo shows Capt. 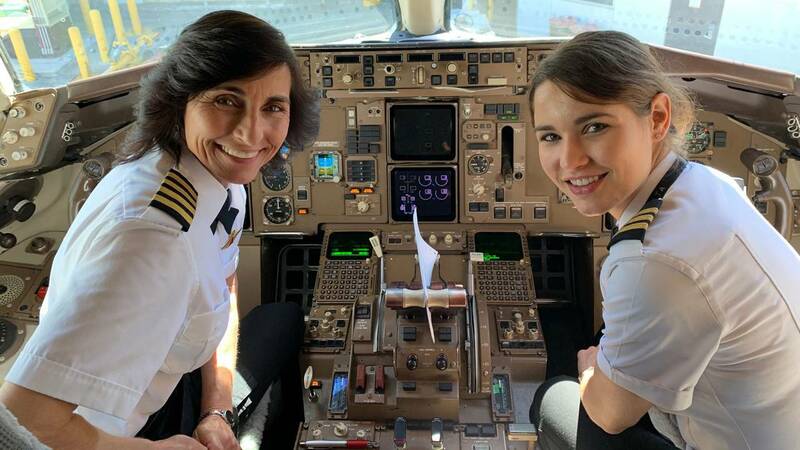 Wendy Rexon and First Officer Kelly Rexon piloting a Boeing 757 together from Los Angeles to Atlanta, according to WJXT. Dr. John R. Watret, from well-known aeronautical university Embry-Riddle, snapped the photo after hearing about the dynamic duo. “I thought that was amazing. I was in awe. I asked if I could visit them, too,” Watret said.